NEW ROOF now COMPLETE. 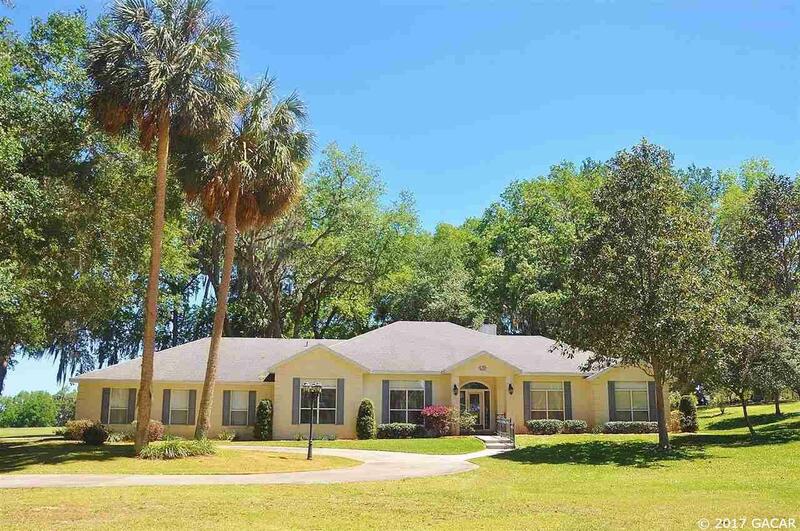 With a picturesque drive to Gainesville in less than 20 minutes, this charming McIntosh estate home offers country living with city convenience, a timeless setting, and access to adjacent Orange Lake. 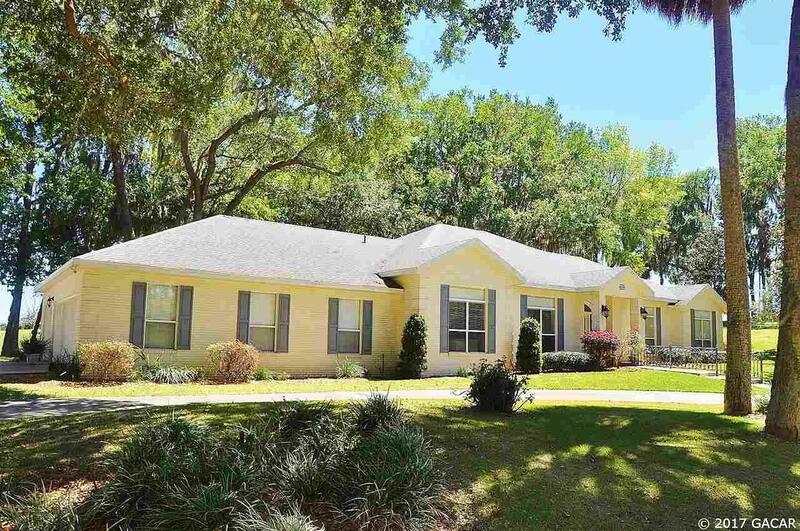 Built in 2001 by one of Gainesvilles most respected builders, Carter Construction, this brick home is 2,961 sq. 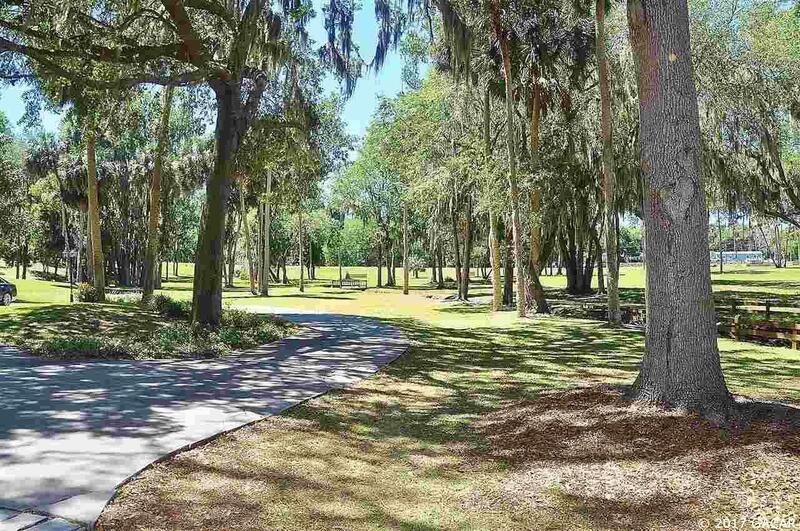 feet with 4 bedrooms, plus a 16x15 study and 3 baths, situated on 10 acres scattered with Granddaddy Oaks. 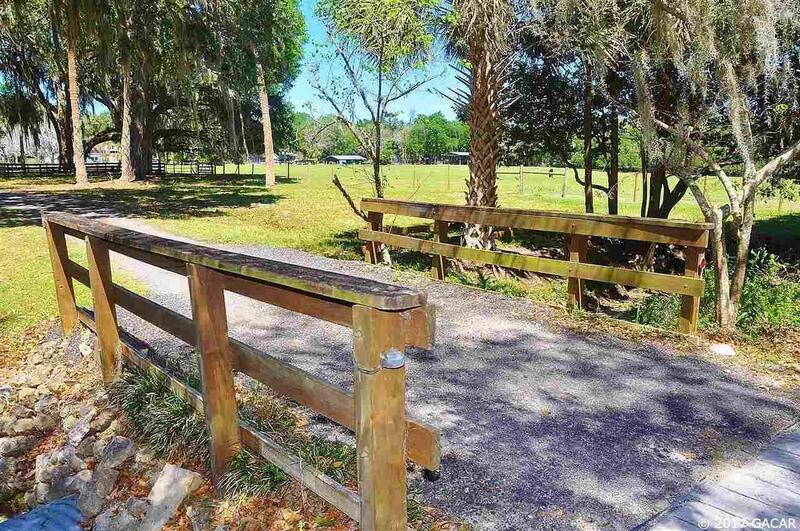 Paved driveway commences from wooden bridge to entry walkway. The dining room mirrors the study in size. The open family room features a wall of custom built ins with bar sink, a corner gas fireplace with unique granite surround, and French doors opening onto the spacious screened lanai. Functional kitchen with granite topped island with prep sink and walk in pantry. Breakfast nook includes a built in bay window seating area with granite top table. Two guest rooms share a large hallway bath. The 3rd guest room has its own bath. All bedrooms have generous walk in closets. All living areas ceilings are 10. Need more storage space? The attached over size 3CG is 782 sq feet. Detached 4th garage perfect for your lawn equipment. Gorgeous serene setting overlooking nearby fields.